// Minimum region size; we won't go lower than that. // heaps a bit more efficiently. // many regions in the heap (based on the min heap size). // <= what we've calculated so far. // Now make sure that we don't go over or under our limits. 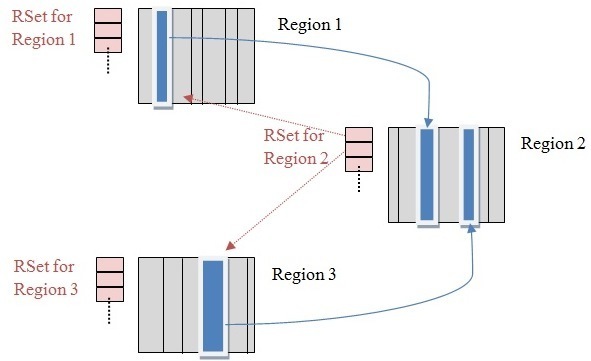 G1 uses a pause prediction model to meet a user-defined pause time target and selects the number of regions to collect based on the specified pause time target.